Examples, solutions, videos, worksheets, stories, and songs to help Grade 8 students learn about corresponding angles. 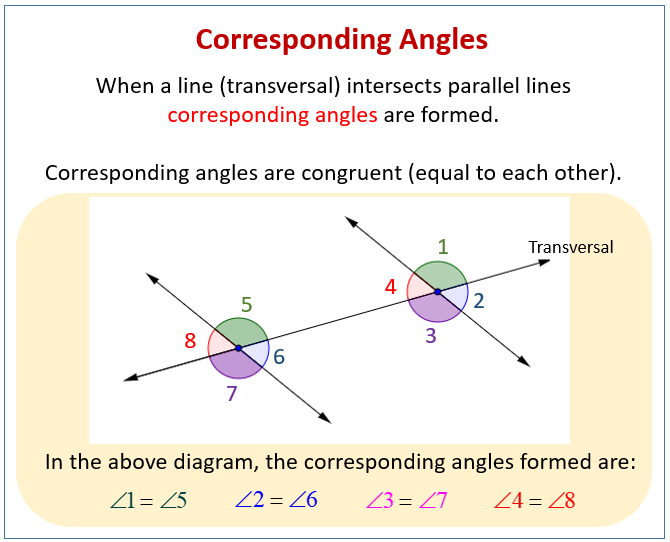 The following diagram gives examples of corresponding angles. Scroll down the page for more examples and solutions. A quick look at Corresponding Angles, the Corresponding Angles Postulate and an example algebra problem.